Brand new item in factory package. 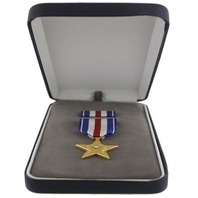 Full size medal presentation set for the Silver Star (SS). 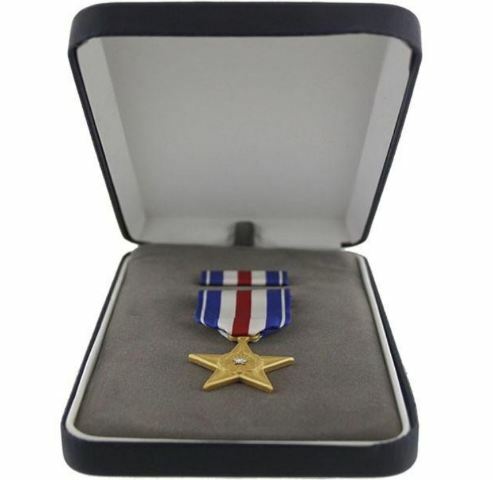 The set includes a full size medal and ribbon unit mounted on a single base bar with clutch backs in a presentation case. Priced per set. Please allow an additional 7-10 days for production.